I went to an event hosted by Intrepid last night. They were promoting their range of food-themed tours and had taken over the School of Wok in Covent Garden so the Katrina and Karina from Russian Revels could teach us how to make pelmeni. Pelmeni are the Russian version of dumplings and are pretty easy to make. You make a simple dough, season a bit of pork mince and basically slap it together. The key, I think, is the pelmenitsa ‘machine’, a cast iron mould that simplifies the whole process immensely. I just had a quick look on Amazon and it seems you can get one for between £6-£8. 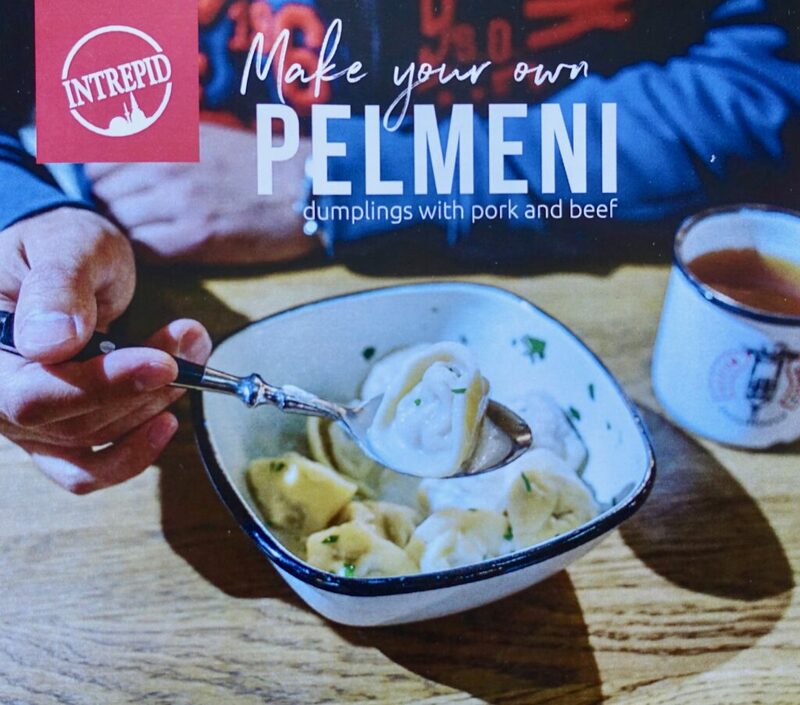 Pelmeni. In an ideal world. After making our pelmeni, Katrina and Karina cooked them and then served them with a pickled cherry tomato, sour cream and a bowl of fermented vinegar that you dip them in. I’ve got to say, they were pretty delicious. There was vodka, of course – flavoured with horseradish! The evening reminded me that, on the whole, Russian food gets a pretty bad rap. 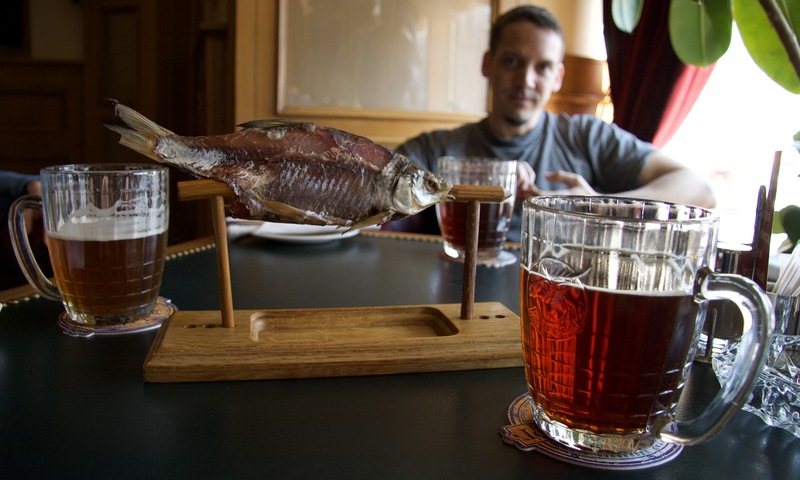 I went to Moscow back in 2007 and some of my favourite experiences centred around food. 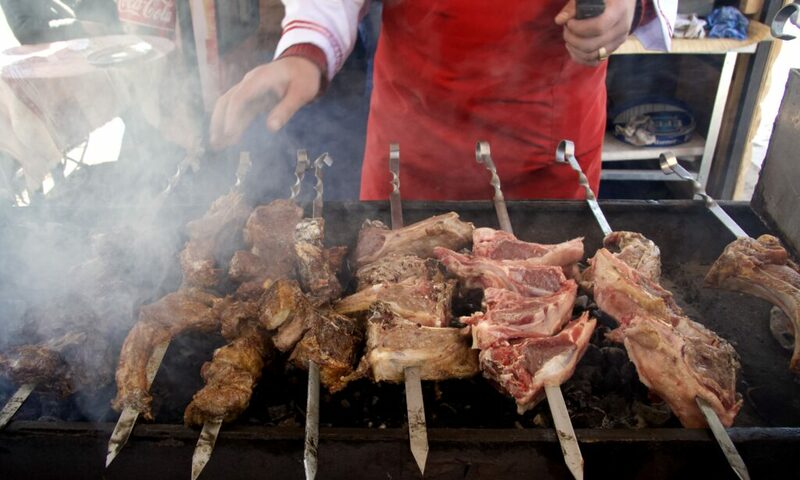 There were the shislaks, enormous skewers of lamb and fish flame grilled over outdoor BBQs in Moscow’s parks. The £2 schnitzel and beer in an ‘exotic’ club, suggested by two babushkas selling flowers near a subway entrance. And my first ever pelmeni, served up by EKatrina, my couch surfing host, when I stayed in her tiny communalka in Arbat. My favourite experience was tucking into Vobla at Glavpivtorg (ГлавПивТорг), a bar that was once the old stomping ground of the Soviet politburo. Vobla is salt-dried Caspian Roach that you break off and chew while drinking beer. In lesser drinking establishments it is consumed straight from the bag you bought it in. But at Glavpivtorg, it is presented on a handcrafted wooden stand, in keeping with the richly panelled walls and deep leather chairs. You also slice it rather than tear it off with your bare hands. At Glavpivtorg, there are still standards that have to be met. I chatted to Katrina and Karina after the event, boring them with my gastronomic tales from Moscow. It struck me that food is probably fastest and easiest way to have an authentic local experience when you’re travelling. It doesn’t always have to be good – I’m thinking of the grilled rat I ‘enjoyed’ crossing a remote Congo-Gabon border – but it will be memorable.